According to a recent poll published by Smart Insights, content marketing was voted as the #1 most important digital trend for marketers in 2015. This was beyond double the amount of responses of the next trend of big data and three times that of social media. Blogging is clearly more alive than ever. But, why such the drastic shift in focus towards content marketing? It’s safe to say that marketers and small business owners (now more than ever) understand content is the ammunition you need to be relevant online. Done correctly, it will bring you traffic, exposure, leads, and customers. However, continually writing great content may be an uphill battle for you. With the majority of your time invested in income generating activities, maybe you just can not find the time to execute a consistent content marketing strategy. That being the case, how do you build a popular blog when you do not have the time or when writing does not come easy to you? Simple. You find people to write for you. But, in order to find writers for your blog, you need to understand their motivation. Writers write for credibility, exposure, and compensation (or any combination of the three). Some people think that just having a vision for your blog is going to draw people in and that writers should create for you for free. Without an established blog, large email list, or being a public figure, you may find it next to impossible to attract quality writers who write free. Good content is expensive, but it’s also what you need to promote and attract people to your site. Then once you have a popular blog, people will be begging to write for you for free. And at that point, you still may want to pay your writers. When money is on the line, the relationship changes. They are working for you. I find it so much easier to pay for content. Moreover, I also suggest not looking for the cheapest route and waste your time working with unqualified, unprofessional writers. Your content is not something you want to skimp over. Eventually, you can build your site up where it is an authority and the dynamic changes because people are seeking you out. Just as they would jump through hoops for a Forbes feature; just for the credibility that logo brings to their site. My goal is to provide a solution to those who have a vision, but need help acquiring content for your blog. You know that once you have the content, you can market it and get exposure. So, I’ve organized years of experience in blogging and working with writers, and put it into this easy to digest guide. Follow the steps I lay out below, and you will know exactly how to find and hire writers for your blog. What Is Your Content Strategy? Before you dive headfirst into finding and hiring writers for your blog, there are a few simple questions you want to ask yourself that will help paint a clearer picture for your content marketing strategy. 1. What is my blog content publishing model? Your publishing model is the type of blog content you publish. For example, you might run an expert blog where you are the face of the blog and source of information. Or, you might have a publishing model, like Learn To Blog, where you build a brand and feature writers on your platform. If you have not already identified your publishing model, this article I wrote will help you create clarity. But, let’s assume you are an expert where your name is the brand and you do not wish to have guest writers under your name. Can you still hire people to write for you? You’d be absolutely shocked at how many famous faces do not necessarily write their own books and blog content. A literary agent for ghostwriters Madeleine Morel estimates in an NPR article that 60% of bestselling non-fiction books are ghostwritten by invisible authors. Meaning that your favorite authors or bloggers are likely pulling the strings while someone else carries the workload of creating the content. Ethical debates sway to one side or to the other on the topic of ghostwriting. I’m here just to display the facts. You can decide for yourself whether you want to ghostwrite your content or attribute it to other authors. You can use ghostwriters to get you 80% the way to your goal. I would never 100% ghostwrite as you never want to risk your voice. You give the ideas and maintain the connection with your audience and let the writers carry the workload. But, it all comes back to the vision for your blog and your publishing model. When you have a multiple author blog, you have more influence to attract writers anyways and it shifts the responsibility off of your shoulders. Best-selling author and venture capitalist Gary Vaynerchuk publishes a video show called the #AskGaryVee show, and recently discussed why he constantly refuses to write quotes for other people’s books. Determining your content model is essential to publishing your writing opportunity. Some writers price differently to ghostwritten vs attributed content. Regardless on how you proceed with hiring writers, keep ridiculously high standards for your content. In fact, you should be attracting people who are significantly better writers than you. 2. How often to I want to post new content? Consistency is key in this game. But, don’t get that confused with frequency. 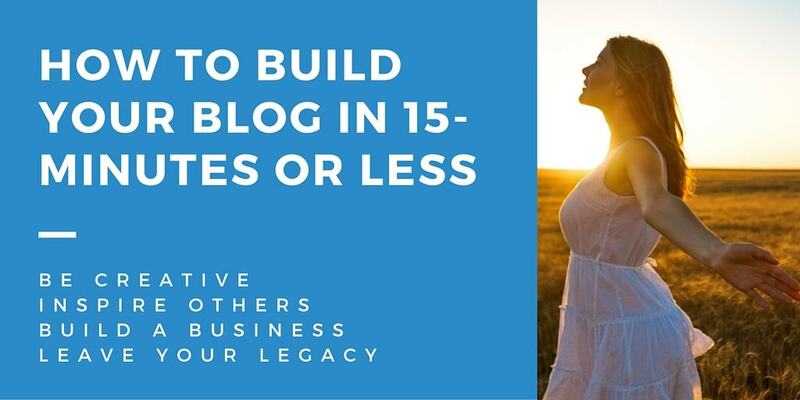 You don’t have to blog a lot. Derek Halpern from Social Triggers claims he was able to build a very popular blog by averaging 3 posts per month from 2012-2014. You want to find something that is not overly aggressive where you will be setting yourself up for failure. Plus, it takes a while to get into a flow of working with writers, communicating, editing, and getting a few articles under your belt. Personally, I shoot for two to four articles per month. I’d rather see you post two articles per month that you invest more time into marketing those articles. You can scale up as you can allocate more resources to towards it. 3. What is your budget for acquiring new content? Going into your content marketing strategy, be prepared that this is an investment in your business. Although content can provide short-term benefits like leads and sales, it’s really a long-term game. But, it makes no sense to me to invest in content if you are not going to put a full effort into marketing it. Decide how much you are willing to invest in great content over time. $200 per month? $500 per month? $1,000 per month? In my business, I will gladly spend $150 to $200 per article because I know the long-term value of the article. People will share it with friends and it will get ranked in the search engines and bring in organic traffic. I know that the leads that come in from that will far exceed the amount invested in the content. However, authority takes precedence over ROI. Writers are everywhere. You just need to know how to identify them. Here we will examine some of the best places to search for your next content writer. A content marketplace is a designed specifically to connect writers with contractors. Some of the most popular ones include TextBroker, iWriter, WriterAccess, Zerys, and Scripted. There is a top tier platform called ebyline which is elite writers. The prices reflects that as its a monthly fee to remain a member, but if your are looking for top-tier content, this is your place. You will have access to a much smaller talent pool, however they are vetted writers. Content marketplaces usually allow you to post a project and writers can compete for the chance to work with you. Since many writers flock to these sites, the biggest positive is that if you have a niche that requires specialized knowledge, you may have a better chance of finding someone here. On the other hand, you have to be very particular on whom you work with. Most of these sites work on a rating system and lure you in by advertising articles written for you for $1.25. While the temptation is real, even if you are on a budget, stick with 5-star writers even if that means producing less content. You will end up wasting more time and resources going back and forth or having someone who is not native to the English language. What I suggest you doing is starting with a small test project to get a sense for the type of content being produced. With TextBroker, if you do not get submissions on the quality you are looking for, you can refuse the order and get your money refunded. Since TextBroker is the only site among all of these that I have used (not saying it’s the best, it’s just the only one I have used), I will give you an example on how a project works here. For example, as you can see in the screenshot below, I’ve started a new project with TextBroker. You have different options and can choose a niche, quality level, and word count. Based on this, you are shown the maximum amount of money you will spend on this project. There are thousands of writers, and if you do not get submissions on the quality you are looking for, you can refuse the order and get your money refunded. 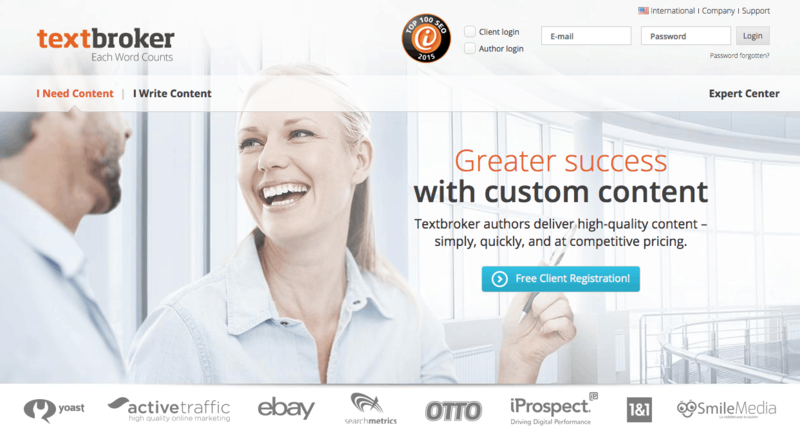 TextBroker offers three different styles of writing projects for you to place. You can have people submit offers to you, or you can post your opportunity. However, it must be said that searching freelancer sites can be a tedious process. Moreover, giving the project to the lowest bidder is not always the wisest course to follow (you’ll often get what you pay for). Having to reject articles because they are below par after a deadline can be disappointing to say the least. What if the project was time sensitive? What if you have to reject another revision of the article? (Trust me, that happens). Whatever the case, it is your choice to decide whom you’ll hire. On freelancer sites, profile and review ratings best measure quality of a writer, not the price. The process can seem daunting when a marketplace allows all writers on their platform to apply for posted jobs. This makes the selection process even more difficult for you. However, some make it simpler. How? Text Broker is unique because it is built specifically for matching writers with publishers. It has a large pool of writers, and you can get very specific on the type of writers you are seeking. Freelance marketplaces are open to all type of freelance work and they have a wide appeal to a massive amount of freelancers, including writers. Some of the top ones include Upwork, Elance, Freelancer, Guru, People Per Hour. Some are more or less bidding sites where hoards of freelancers bid on your project. Other marketplaces assign your project to the most qualified writer in the marketplace. Still, others have different writers work on your project. On completion, they’re given to you for assessment. You then choose one that best fits your needs. Since, Upwork (formerly known as ODesk) will be soon be merged with Elance to form a single freelance marketplace, I have grouped them together here. For the past several years, I’ve hired almost all of my freelance workers from Upwork. Functionally speaking, the site is very easy to use and it is driven on a rating system. With this said, it will take some navigating to find writers to work on a per word rate without overly inflated hourly rates. Because the good works command higher rates. There is a community of over three million freelancers on Elance and 9 million on Upwork. You can find just about any kind of freelancer you’re looking for on these sites. What is more, article writing is one of their top skills at present (it’s in the top three). Joining Elance and posting a job is free. So what do you do? Post a job. Describe what type of writing you need, and talented freelancers apply instantly with proposals or bids. Instead of waiting for bids on the project, you can also search for freelancers. Note that freelancers that turn up in the results are often those using either a Small Business Account or Large Company Account. Those are premium membership plans for Elance. You can then invite the freelancers to bid on your project. Elance also makes recommendations to make your job easier; analyzing your requirements and recommending freelancers best suited for your job. Ultimately, whatever route you take, you have the opportunity to choose freelancers you want to work with personally. Writing job boards are different from the marketplaces. Marketplaces are free to post and job boards the companies make money off of you posting the job ad. But, don’t let this steer you away. This is actually one of my favorite ways to attract high quality writers. When you have money invested in the job posting, you attract a high quality applicant. The job boards almost always work the same way: you pay to post the writing project, and writers apply for it. Sometimes, the applicants pay a monthly fee before they can apply too. In any case, only you can see each application and decide if it’s a good fit or not. This job board is the gold standard to attracting writing candidates. For $50, you can run a job posting for 30 days and it takes minutes to setup. 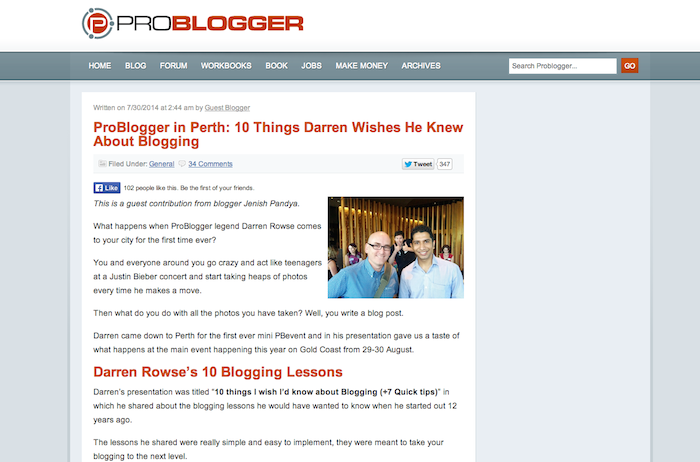 Since the readers of ProBlogger are already blogging focused writers, you can expect they are more polished when it comes to blogging. A writer might just be able to put together great content, but applicants will take into consideration linking, images, optimization, headlines, etc. From personal experience, I’ve seen roughly 40 applicants respond to my last posting in the first 2 days. You may attract more or less depending on the popularity of your blog and how niche your topic is. 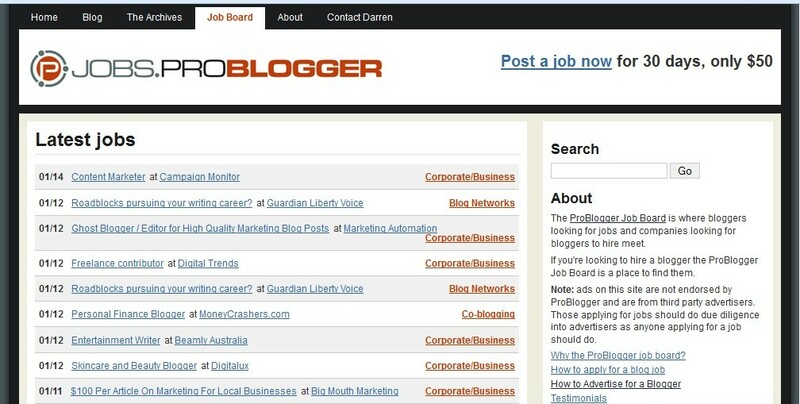 BloggingPro job board is another option, but I have not used them. It costs $30 to have your job posted for 30 days. It appears fairly active getting one new job posting per day, but there is a reason why it is cheaper. Focus on places that are getting many more job postings. If people are posting jobs, then there are going to be job seekers on the site actively searching. My love affair with Craigslist began back in 2008 back when you could post job ads for free. Craigslist allows you to because you can find talented people who are not normally in the pool of people applying on the typical blogging job boards. People local to you is also a plus if you ever want to meet them in person. And it’s cheap to run an ad; only $25. When you post here, make your expectations very clear. You may find great writers, but they may not necessarily be bloggers. So let them know that formatting, images, sub-headlines, and scannable content are all things that are important to you. There is no hard and fast rule here. Best practice is to see how others in your niche are doing it. Keep in mind, freelancers are not looking for a job. They enjoy the freedom they already have. They are looking for opportunity to get paid for their work, but also they would love to have repeat clients they can come back to. As an example, here’s a job ad I ran on ProBlogger that received 40+ applicants for Learn To Blog. Notice that the heading of the job’s description is very specific. In my case, I would even change it to include the massive exposure opportunity. Leverage what you have. But, don’t position it like a corporate job ad. Keep it short and simple. The first time I wrote a job ad, I put a price in the post. The second time, I left the price off the ad as suggested by Neil Patel from Quick Sprout due to the fact that people work at different rates. We’ll dive more into pricing negotiating later in this guide, but I prefer to leave the price off of my postings. Another way to find writers is to approach people that are actively pursuing guest writing opportunities. Take a look at the blogs in your niche. Are people contributing guest posts? 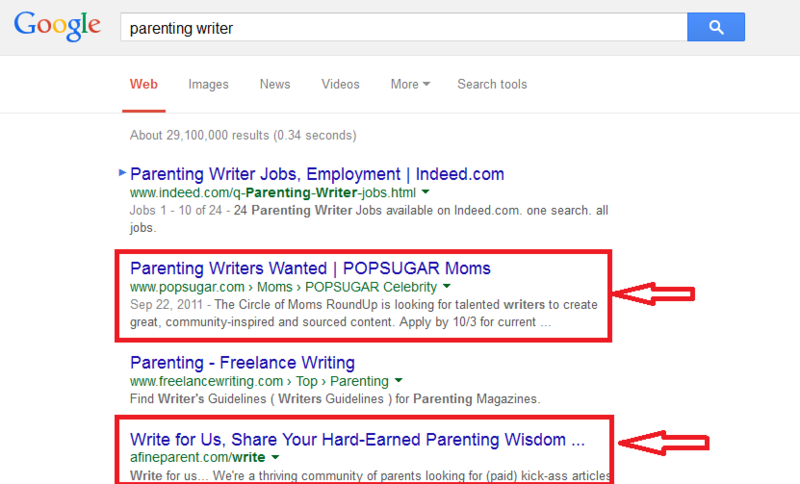 You can also search blogs that have hired external writers and try hiring the same writers. Such blogs can be easily found on freelance job boards. Do a little digging and you’ll find there are freelance writers who will be more than willing to take up your writing project. This is quite easy too. Because most of the work you should have to do is cut short. Okay this depends on the kind of person you are, but if you scour blogs that accept guest posts then you have a good chance of finding a writer that has the voice or style you need. And you know what? Most of the very best writers do not apply for jobs on job boards. That’s not necessarily because they’re very busy. And it’s not because they’re making so much money they don’t want more work, and yes, more money. It’s because the smartest writers often make you (clients) come to them. One way they do this is through guest blogging. You know the best part? The blogs they post on have done most of the critical work for you. That’s because if a writer can get past the editorial guidelines of these blogs, then it automatically means they’re a good enough writer. However, it doesn’t mean that if you find a writer’s post on a lifestyle blog then they won’t be a good fit for your real estate blog. Of if you found the post on a finance blog then they can’t write about WordPress. 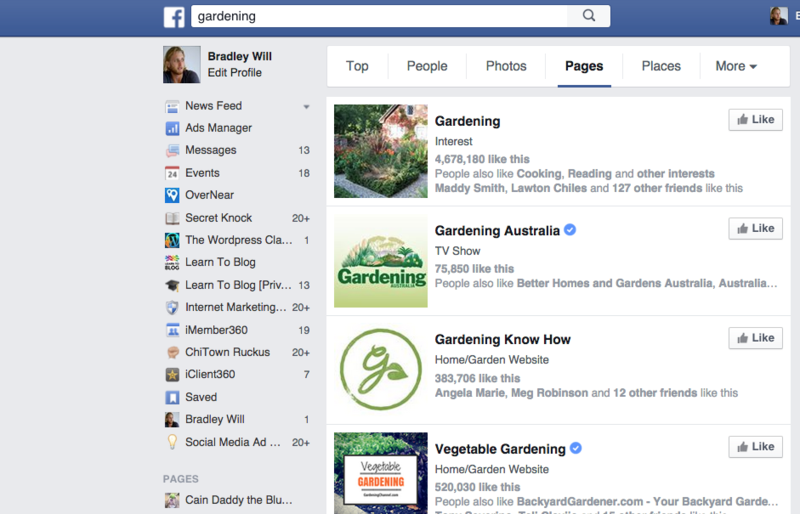 Another way to quickly get a landscape of the players in your niche is to run a quick search of pages on Facebook. Type in your niche name. Below you can see I just typed “gardening” as an example. Once you have found a few pages on your topic, you can check out their blogs and see what type of content they are publishing. 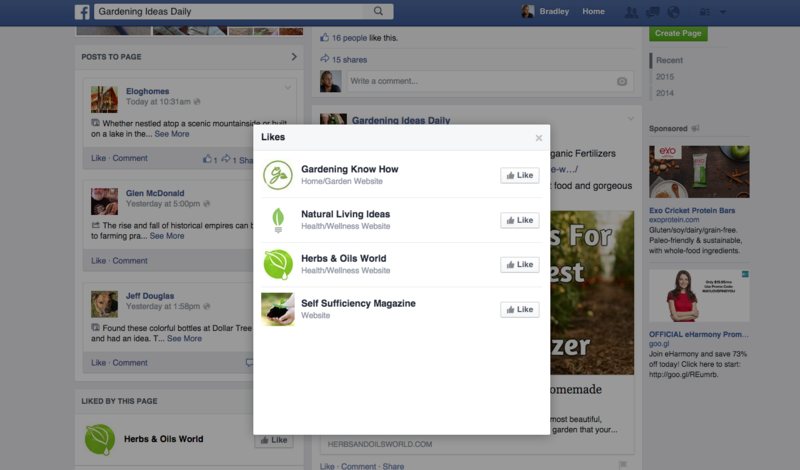 Taking this a step further, I like to go to the individual pages and see what other pages are liked by that page. I do this because they will help me quickly find related pages that I might not normally search for. In the screenshot below, I just found the page “Herbs & Oils World” which is a topic most people interested in gardening would also be interested in. These are also communities you can start engaging with and searching their blogs to see who is writing for them and sending them a per. I recommend liking the pages relevant to you and interacting with these communities. They will see you commenting on Facebook posts, blog posts and even writing guest posts. Show your expertise by helping people and linking back to your site. People will click on your site, find your blog and tell their friends. Ever heard “Google is your friend?” A good writer knows that more than anyone else. While it is true that some of them do have specialties, and won’t take on any writing gig just because they want quick money, they also know any topic can be researched thoroughly on the internet. You love it and want to see if you could hire the writer or get them to make a contribution. You could look for their bio at the end of the article, links to their website, or if that information is not available, run a quick Google search on their name. 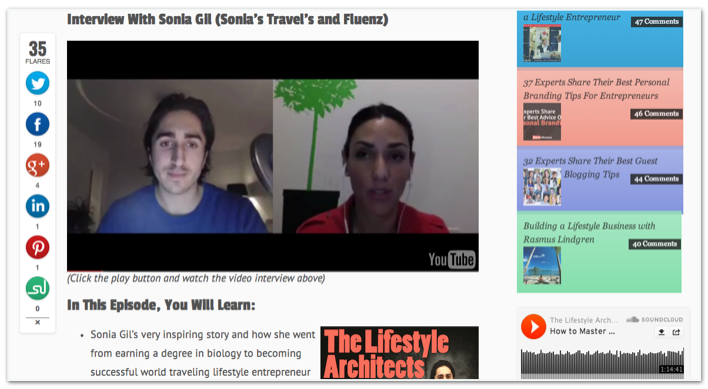 Most multi-author blogs allow writers a bio at the end of their post (Learn To Blog does). Writers often include their contact information in that bio. It could be a link to their blog, Twitter handle, or Facebook page. I want to start off by saying I saw your post on BLOG NAME and I enjoyed the wonderful way you conveyed your message. I got here from the info in your bio on BLOG NAME. All I could think was: I’d love to have you work on WRITING PROJECT. Let me know what you think, and I will forward more details of the project soon! When you know how to harness the power of Google, you can find anything you need. 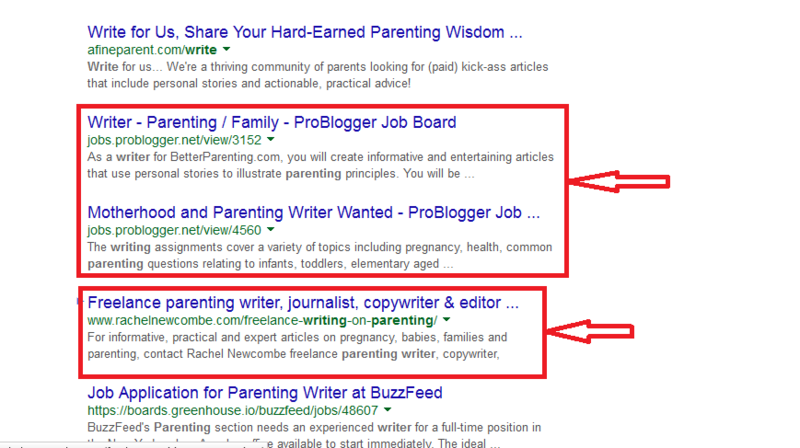 From the highlighted results above, you can quickly see not just parenting blogs, but parenting blogs using external writers. Now, even if the blog owners are not interested in writing for pay, the writers they have featured on their blogs would. So it’s left for you to select a writer of your choice. 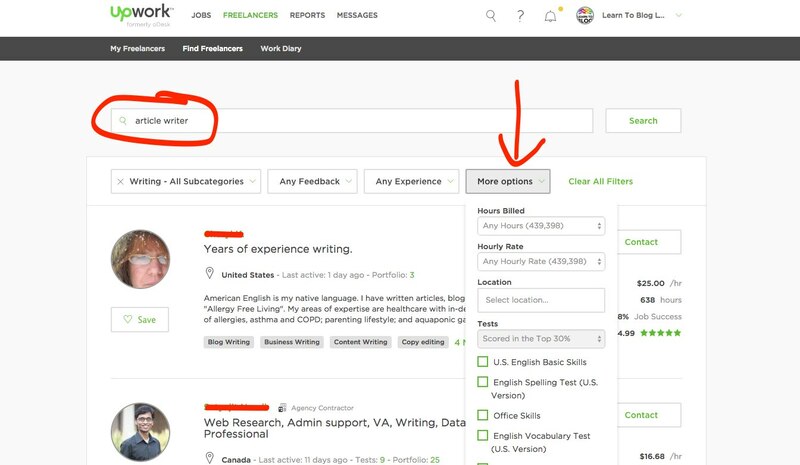 You can see links to blogs hiring writers on the Problogger job board. You can then apply to no. 3 above. Or you see the website of a parenting writer showing up in the search too. Reach out to the writer through his or her website. Facebook has not been my first choice to find people to write as it is more of a social platform. But, there is one feature I really like to hunt down writers. Facebook groups can be one of your most powerful assets. Like the Google search above, try using some of those terms on Facebook. You can see groups that many writers belong to. You can browse their profile to find their blog and look at their work and if you are interested send them a short message to them directly to see if they are interested in writing for you. Like the Google search above, try using some of those same terms on Facebook. You can see groups that many writers belong to. You can browse their profile to find their blog and look at their work and if you are interested send them a short message to them directly to see if they are interested in writing for you. Using this method, I hired a phenomenal copywriter by asking the admin of a group to let me post a job ad inside. Because the people in the group were so targeted to what I was looking for, one guy applied and he ended up being the perfect fit. Months later, he still works with me. LinkedIn is an invaluable resource for finding writers. After all, it’s a great place for them to showcase their work, skills and find clients, just like you. There are three ways your can find great writers on LinkedIn. 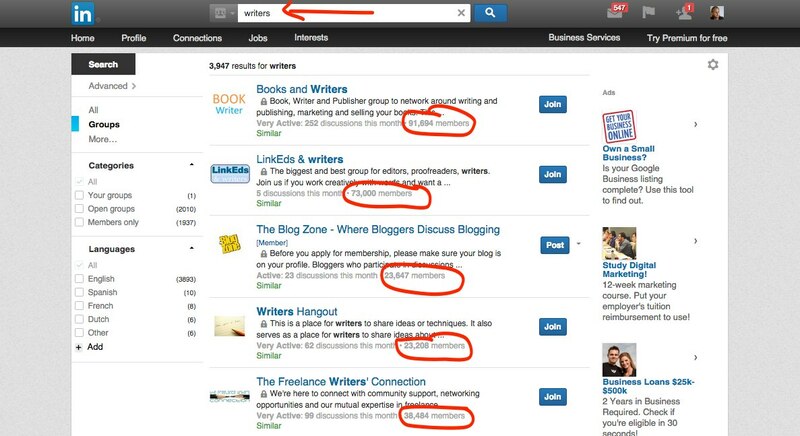 First, the “Search People” box at the top of every LinkedIn page can be used to find freelance writers. Any search can potentially bring up a large number of people. You can narrow search results by entering a particular keyword or keyword phrase, depending on what you need. For example, it’s safer to type in “technical writer” or “spiritual writer”, than just “writer” in the search box. The good thing about LinkedIn is that in the search results, people with whom you have a connection, either through one of your own contacts or a LinkedIn group turn up first. 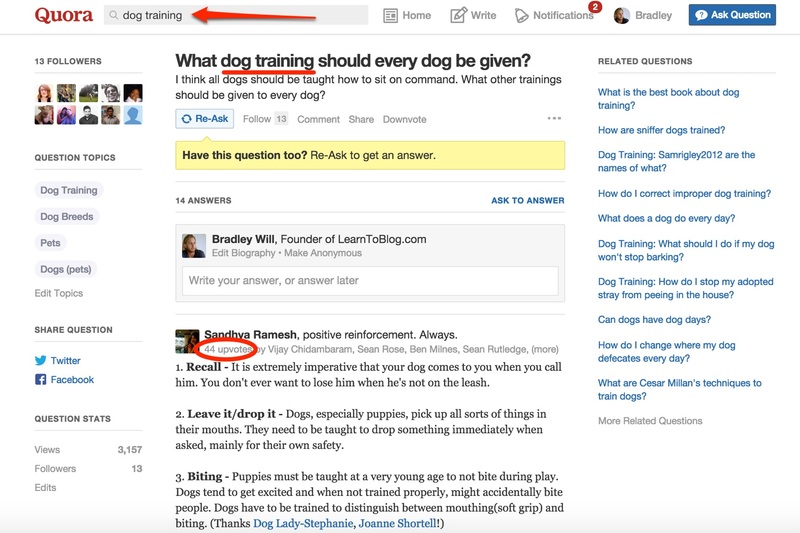 The Advanced Search option in LinkedIn also enables you choose the location of the writer. If you find one or more writers you are interested in, take some time to explore their profiles, recommendations, and even mutual connections. Positive feedback from past and current clients or recommendations that describe projects similar to yours are bonus points. Not to be overlooked is a clear, polished profile, devoid of grammatical errors and typos. You can then get in touch with your chosen writer and negotiate rates. Very similar to harvesting writers from Facebook groups as I have mentioned above, you can find giant pools of writers within LinkedIn Groups. You can search and contact people directly or build relationships with the group organizers to see if you can post your writing opportunity within the group. Just check the rules of the group before posting an opportunity. Another option is finding people who publish content on LinkedIn. You can do this via LinkedIn Pulse. 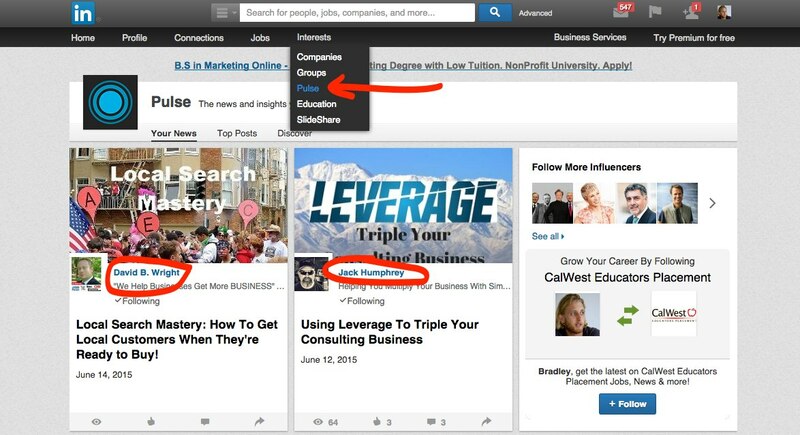 People who publish content on LinkedIn are often featured on LinkedIn Pulse. It’s a great way to find writers because writers publishing there are already trying to get traffic to their website, book, services, or squeeze page. You can use the filter on the left to sort search results based on relationships. Meaning you can opt to display only people you’re following, your followers, users that have any relationship with your account or users that have no relationship with your account. If you find any profile or bio of interest to you, reach out to the owner, and he or she just might be willing to take on your project. 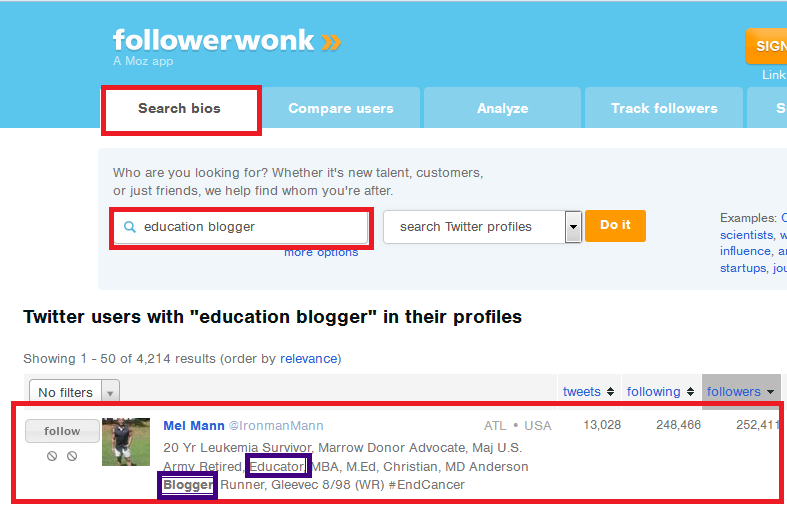 By searching for people on social sites, you can see the size of the following of the writer you are pursuing. Which is another opportunity to ask them to push the article when it goes live. This a one I’ve been really liking lately. Quora is just full of experts answering peoples questions. You can run a search on Facebook and LinkedIn, but are these experts you find actually qualified writers. When you look at the people providing answers in Quora, many of them are well written pieces. And the folks on the usually have the credibility to back what they are saying up. Someone asks a question and people can leave their feedback. Everyone has a bio and the community can vote on the answers. So the best ones get upvoted which increasess the credibility of the expert. As you can see in the responses, you can evaluate someone’s writing style and some of these resposnes are good enough to be blog posts. Many of the experts even link to articles they wrote. There are a few reputable content marketing education programs that provide a certification upon completion. Two off the top of my head are Hubspot and Copyblogger, and I am sure you can find more on Google. But, stick to the well-known programs as you will have people who actually know what they are doing. Anyone can slap a certificate or badge together and give it to you after you buy their course. Copyblogger, for example, currently has 57 writers on their Certified Content Marketer’s page rounded with different skills. Literally, it means that those writers on that page have been vetted for you. Which is why I say only evaluate graduates from companies who practice what they preach. They hold credibility. A university degree in content marketing means nothing to me. I want someone who is living it in the real world. Do you have or know a friend who runs a blog or has used a freelance writer lately? Ask for a referral. Or, maybe their contact has a friend. Friends want to help each other out. Especially if they have a relationship with a freelancer who is not writing for them full time, ask to use them for your project. Your friend may gladly oblige out of the goodness of their heart, and to gain goodwill from the freelancer for the project referral. Shoot him or her an email asking to be introduced to the writer. Or, do as I do and post a Facebook status asking for help. Depending on the quality of content you are looking for, expect to pay $100 – $250 for a 2,000 word blog post that is researched, has photos, stylized, and free of grammatical errors. When I ask the writers how much they charge, usually the response is in the range $0.05 to $0.20 per word for a post. Which I prefer to do things on a per word basis instead of flat rate posts. Writing is art and my preference is not to limit them on price, rather let the article naturally take shape (within reason). From my experience, some writers are willing to lower their rates when posts exceed 2,000 words and for ongoing work. I’ll ask the writer to tell me whatBut, I prefer people to tell me what they charge and do a little negotiating if I feel it is too high. You never know. Someone may have relatively high rates, but then when you tell them they are outside your budget, they may come down because they really want to write for you. On the freelancer sites listed above, you’ll find people offering their services for as little as $1 for a 500 word post. Sure, that kind of content may have worked 5 years ago, but with so much information online today, you are better off focusing on fewer posts of higher quality. Great content is expensive, yes. But it’s only 20% of the formula. 80% of you time should be spent promoting that post. It’s a long term investment in your business. Just make sure your blog is optimized to capture leads before you start unleashing your content to the world so that you will eventually see a ROI. For a complete guide on rates, be sure to check this resource out (a little secret: it’s for freelancers but I think it can help those hiring freelancers too). Whether you run a posting or you are contacting people directly, it’s likely you’ll ask the writers to tell you about themselves. Among everything he told me, the one thing that stood out was that they were formerly a practicing attorney. This makes his different from everyone else. But, let’s continue. He followed instructions and linked to some similar articles. His work was solid. He also claims to be good at breaking down complex subjects. he pays attention to detail, if we were to write an article on the topic, it gives the article credibility and likely he can write posts on this topic better than most. Already, I have an idea in mind what I could hire him to write better than 99% of people who apply. Until I have all the information I need about them and until they are Technically, I don’t ask the writers to pitch me ideas until I have information about them and until they are clear on who my audience is. Sure, they could guess based on reading the site, but they are not going to REALLY know my audience like I do. Here’s a reply I sent back. Instead of having writers pitch me a bunch of broad ideas like “9 Ways to Grow Your Blog”, my goal is to discover their sweet spot. Their sweet spot is where their passion and talent intersect. Ask them a few questions about themselves. Some people might give you a soft answer like one guy told me he was reliable. Reliability is a standard. Jackpot! Now we are getting somewhere.These questions help them think in terms of specific processes that they have mastered over time where they can break them down simply for my readers. Don’t be afraid to challenge your applicants. They will respect you for it and that you care. The last thing I need is someone writing just for a paycheck. Blogging is art and I want them to pour their heart into the content. Help them think in terms of specific processes that they have mastered over time where they can break down for your readers. Missing from the screenshot above was also precise details on who our avatar (my ideal reader) is. Give them as much detail as possible about who is going to be reading the content. The best thing to do when communicating with them is be real with them. If you are brand new to this, just come out and say it. If you are brand new to this, just come out and say it. “Hey this is my first go around at this. You have done this before. How do you suggest we proceed from here?” Put the work on them. After they give you some headline ideas, I definitely suggest you get some sort of brief or outline before they begin creating the article. You also want to look for writers that have a following and are willing to promote the content and link to it. It’s free traffic for you and links that sit in their portfolio on their site. I’ve found that some writers come out and say that they will promote it. If they mention links in it, they should reach out to the people too. For a freelance writing job? Absolutely! I speak from experience when I say that you only have to make this mistake once. After seeing several stellar marketing posts come through my Facebook newsfeed, I reached out to the author (one of my connections) to contribute an article on a specific traffic strategy he was having success with. Great guy. Great personality. Totally professional and punctual with deadlines. He invested hours into a phenomenal article. When he finished, I was suddenly stopped dead in my tracks. One of landing pages he was linking to had an affiliation with an adult website. So, I then ran a Google search and found another instance of marketing advice for adult websites. Although he is a nice guy, it’s not something I want my brand or myself associated with, so I backed out of the deal we made. It’s likely not something I would have found running a simple search in the first place, but it doesn’t hurt to run a check on your writers. Search them on Google. Evaluate their website. Check their social profiles to see the content they are sharing. You want your writers to be aligned with your values. By chance that you run a vegan food blog, it would reflect poorly on you if your writers are Instagramming themselves eating a steak on the weekend. When communicating with your writers, you want to set proper expectations. Your ability to clearly articulate what you will directly reflect the time and quality of the work the writers submit. Furthermore, by setting expectations of the project, they cannot make excuses if directions are not followed. Writing Style – Send them some examples of the style you would like them to write in. This helps them find the right voice. If you don’t have any work created, find some links to posts you want to emulate. Audience – Create a description of your audience. You can include things like age, gender, location, profession, education, etc. It will greatly improve their writing if they know with whom they are speaking. Word Count – Quality over quantity. Opt for fewer, but more in-depth articles. My target is 2,000 words or more. More importantly than the word count is not boxing the author in and letting them get their message across (within reason). Links – If your blog is new, have them include plenty of sources and links out. Top blogger Neil Patel from Quicksprout suggests you should have 25 outbound links per 1,000 words as a new blogger. By linking to other websites, this also becomes a promotional tactic to contact all the websites notifying them they were mentioned on your site. Editing – The blog post should be fully edited and free of grammatical errors. If you are you are your own editor, one tool I’ve found helpful is using Grammarly to polish my posts. It catches a lot of errors that I miss. Images – Images and screenshots are very important to the success of your content and should be included. Ask your authors if they have a stock photography account. Since, I primarily use DepositPhotos, I will let them pull photos from there because they are high quality. I’ve had authors submit work with cheesy photos that you see on every other site and serve no purpose. Real photos and screenshots work great. Location – Often your writers will ask you how you want to receive the content. Google Docs works as a phenomenal (free) collaborative word processor. 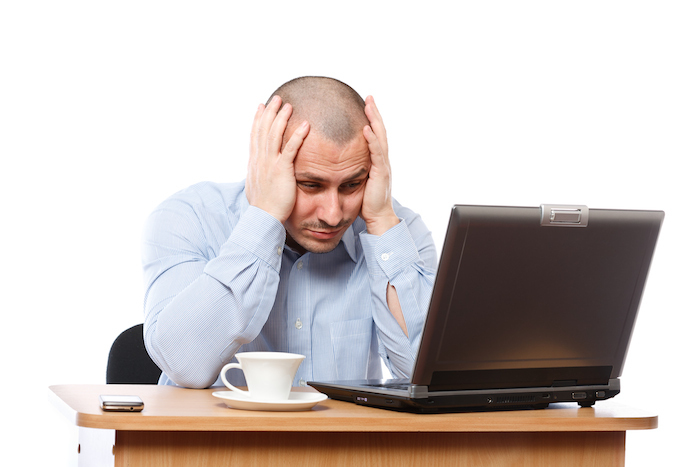 No compatibility issues and feedback is real-time instead of going back and forth in an email thread. You can also create a folder for each author in your Drive account to manage all the articles. Attribution – Are you giving credit to the author? If so, you will need their bio and a headshot to add to their profile or for a byline. Formatting – Not only should the author match your style of writing, but the formatting of the post. For example, I like to avoid excessively long paragraphs, use sub-headings to make posts scannable, and bold and italicize things I want to stand out. Optimization – Is your writer writing with SEO in mind? Not all writers may be skilled in this arena. But, if you are targeting specific keywords, it’s a good idea to make that clear. Deadline – I’m looser about the deadlines, but if you have a specific time you need it by then be clear about that. Usually, they will give you a proposed time on when they can have it complete. I prefer they give me their word on when they can complete by on their terms. Price – Negotiate a flat rate or price per word up front before they begin writing. Some writers may ask for your signature on an agreement. Be clear on your expectations up front. Now that you have an article approved for publishing, you can choose to add your writers as contributors inside your WordPress blog. This allows them to go in and do most of the leg work in editing and styling the article. You’ll likely want to have an editor go through the piece, or do it yourself. Here’s a pro tip for those who will self-edit the article. Purchase the tool Grammarly. Using this tool, I catch over 50 mistakes in per article pertaining to grammar, sentence structure, and word repetitiveness. 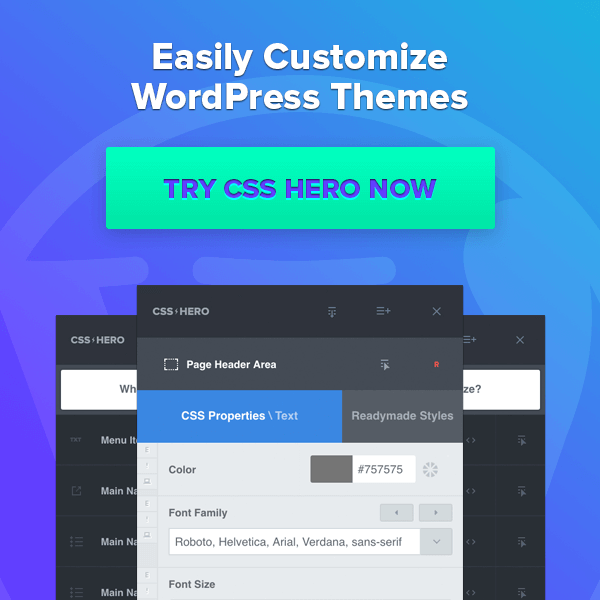 It’s a browser extension and it works right inside your WordPress editor showing any errors in real time. Once it meets your satisfaction, it’s time to publish the post! Now that you’ve successfully hired writers for your content creation plan, you want to monitor and track your experience. You can use a simple spreadsheet like the one below can help you organize a list of contributed posts. Yours can be simpler, or more sophisticated, but it can save you a bucketload of time for sure. One year after running our first ad on ProBlogger job board, several of the same writers applied to write again. I just looked at our writers sheet and the notes attached to each writer. Now I prefer to price on a per word basis as the length of the posts can vary. As a way to further engage your writers, after they have successfully published one article, it might be a good idea to invite them to a private Facebook group and create your own idea flow. 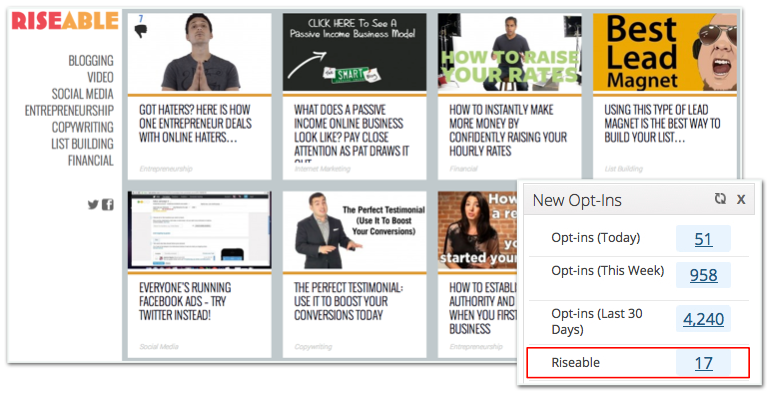 Often, people feel hesitant to give out their best content for free. Think of your content as your business card. This is your chance for people to find you and see you as a credible expert. What’s cool about using the strategy that is laid out above is that if you have a relatively well put together blog with great content that appears reputable, your writers will naturally want to talk about the work they’ve done. You see, it doesn’t matter if they get paid or not. If they are proud to show their work off and to associate with your brand, you can ask them to promote the content to their audience. For example, you can say that you will investing heavily into promoting the article and would appreciate any type of push they can give to it. Like emailing their contacts, sharing on social media, and reaching out to anyone they link to in the post. Also, freelancers get business because of their portfolios. So it does not hurt to even ask them to link to the article from their site. Every little bit of promotional effort helps. And if you specifically target writers that have influence, you are paying for the content and getting the traffic for free. You may want to outline any suggestions you have in a email to them. Blogging all starts with an idea. But, it’s not the best idea that wins. Everything has been said before. What makes you unique is the way that you have to say and taking massive action. It’s your turn. What idea do you have for a powerhouse blog post that could be a smash hit in your niche? Share your idea in the comments below and let’s discuss how we can make it better. If you found this helpful, I would greatly appreciate if you shared it on Facebook and sent it to your friends and colleagues who need help creating their blog content.